It does not always have to involve glitter and glimmer. Sometimes Holiday Parties have a more casual environment. Still, you want to look festive and appropriate for the occasion. This loose flowing A-line crepe dress is a good example for making a statement without being overdressed. These knock-out over-the-knee boots definitely make a fashion statement and complement the dress very well. 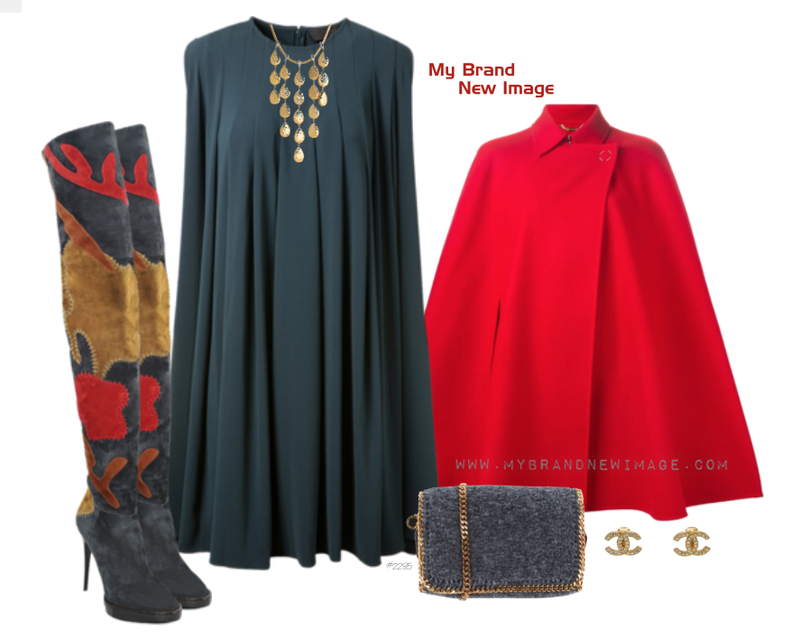 Together with the double breasted cape in red and the felt clutch, this makes for a perfect outfit wherever you go this Holiday season.